Because of modern societies’ dependence on industrial control systems, adequate response to system failures is essential. In order to take appropriate measures, it is crucial for operators to be able to distinguish between intentional attacks and accidental technical failures. However, adequate decision support for this matter is lacking. 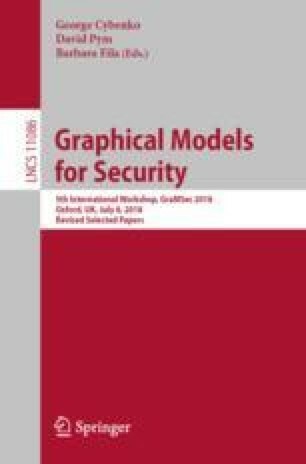 In this paper, we use Bayesian Networks (BNs) to distinguish between intentional attacks and accidental technical failures, based on contributory factors and observations (or test results). To facilitate knowledge elicitation, we use extended fishbone diagrams for discussions with experts, and then translate those into the BN formalism. We demonstrate the methodology using an example in a case study from the water management domain. This research received funding from the Netherlands Organisation for Scientific Research (NWO) in the framework of the Cyber Security research program under the project “Secure Our Safety: Building Cyber Security for Flood Management (SOS4Flood)”.